I'm very excited to have my first puzzle published in the NEWYORK Times! This started out as a puzzle about satirical news — that idea hit a SNAG and didn't end go anywhere, but I liked LASTWEEKTONIGHT as a grid-spanning entry and thought this could be another way to use it if I could identify additional theme entries. EIGHTDAYSAWEEK came easy, AMONTHOFSUNDAYS was less forthcoming. This puzzle was submitted in February 2017 and accepted in June 2017 after being edited ATAD in the middle-right for the quality of the fill. Will and team further changed the bottom right corner from OWEN/RARE/MRED to OWIE/RAID/MRIS. About 15% of my clues survived intact and another 25% with some wording changes – looks like my clue-writing skills still need to MATURE. I very much appreciate the improvements from the EDS, particularly to the wording of the revealer. I wasn't sure what CALENDAR REFORM was, but interesting to read up on it. Sure covers a ton of possible changes to a calendar system! Today, Joe gives us "impossible" time events that would require CALENDAR REFORM to make them happen. Ah, what I wouldn't give for EIGHT DAYS A WEEK … although I'd probably spend the eighth day goofing off and then wish for a ninth. 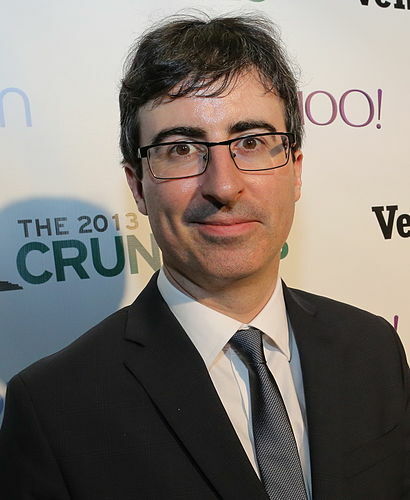 I wasn't as keen on LAST WEEK TONIGHT, as it's not the same type of time impossibility as EIGHT DAYS A WEEK. To me, it's simply describing that tonight, we'll go over what happened last week. Yeah? It was also jarring to get WEEK repeated between two themers. I don't personally mind when a short word, like ONE or IT or UP is repeated in a grid, but to have a key component in the theme duplicated … hmm. I hadn't heard of A MONTH OF SUNDAYS, but I enjoyed learning about it. Apparently, it means "a very long time," as in a long, boring stretch of days of rest? Heck, I'd take 30 straight days of rest, thank you very much! Some nice bonuses worked in, WAGES WAR, REVERSI, NAIL GUN, Toni Morrison's incredible "BELOVED" all standouts. I appreciated all these extras, helping hold my attention through the solve. The short fill … too much crossword glue for my taste. A Monday puzzle ought to be welcoming to novices, sucking them in. TMS for multiple trademarks isn't really used, and EDS, ELOI, AMIE, BLDG, ISO, NON, ETH. The one I object to most is ELOI, as the others are mostly figure-out-able by normal folks. ELOI is more a Maleskan-era throwback to where you could only do crosswords if you memorized these bizarro short answers. The theme reminded me of Mercury, whose day is longer than its year. Would have been awesome to work that into the theme somehow! The grid uses 21 of 26 letters, missing JPQXZ. Average word length: 5.03, Scrabble score: 299, Scrabble average: 1.61.